When you are out driving together, have your teen explain what they see. Some examples might be “we are approaching a stop light that is turning yellow, I’m preparing to stop”, “a child on a bike is coming up to the crosswalk, I’m going to slow down”, or “the car in front of me is braking, I’m slowing down”. While it won’t help you completely relax, it can help remove tension knowing that they are paying attention to their surroundings. It also provides opportunities for you to teach your teen what they should be watching for while driving. Part of the reason you come along is to help teach your teen, right? If you have your phone handy, you can test their restraint by texting them every so often to see if they stay focused on the road. Use this as a teaching moment by giving positive reinforcement if they choose not to use it while driving. If they reach for their phone, remind them how important it is to not use their phones even at stop signs and red lights. They should pull off the road and out of traffic if they need to use their phone. Behind every great driver is a parent who put in the hours and sweat to teach them. Make sure you buy yourself a reward, even if it’s a pack of gold stickers. It’s a big accomplishment for your teenager to get their driver’s license, but it’s also a big step for you too. 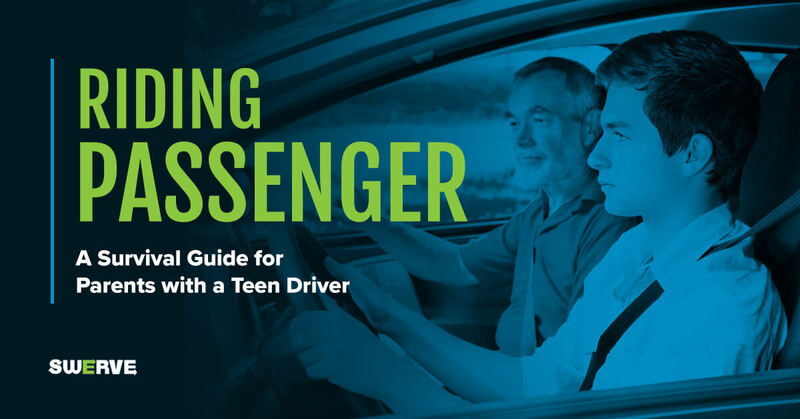 Driver’s education teachers rely on parents to reinforce what students learn in class. These parent survival tips will help you be prepared for some common situations to experience together.